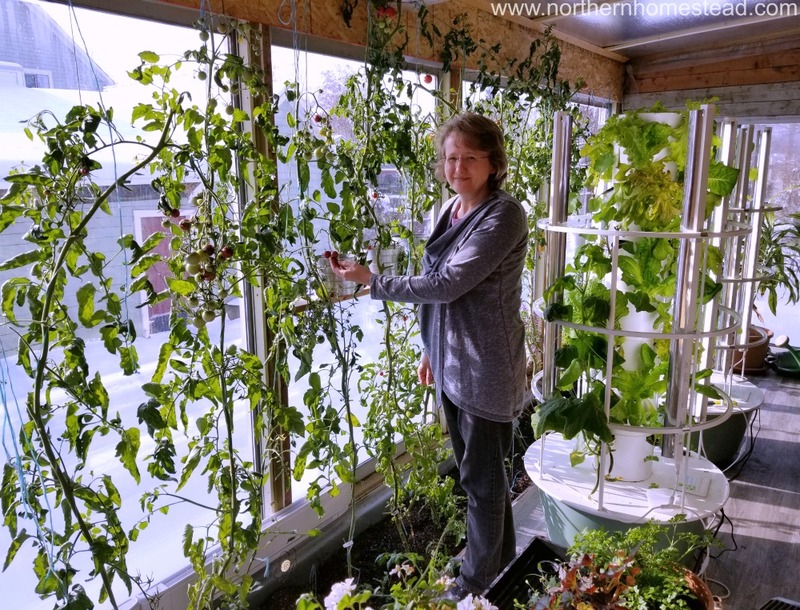 What does a greenhouse for winter growing in January look like if you live up north in Canada? About 3 years ago we started the adventure of Turning a Garage Into a Food Production Place. It is time for an update. 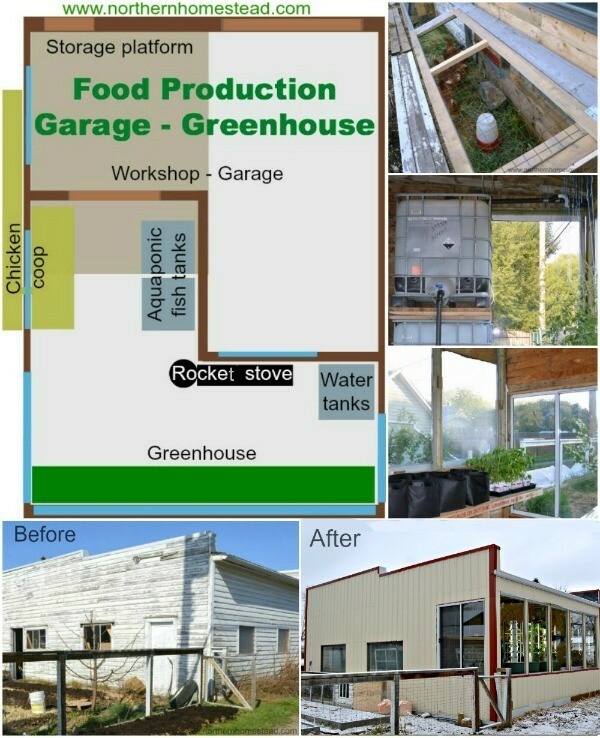 See how this food production garage has become a “greenhouse” for winter growing. The grow room is well insulated, heated and planted for optimal yield in a very cold northern climate. 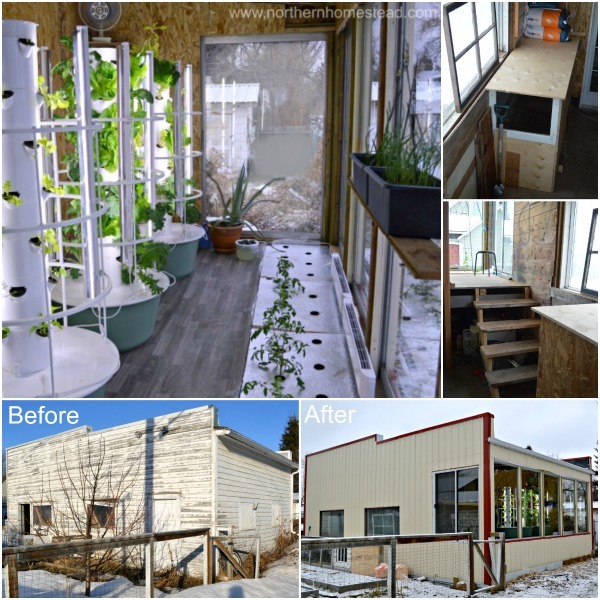 To be able to grow food in January in very cold climate (-40 degrees) you do need a special structure. 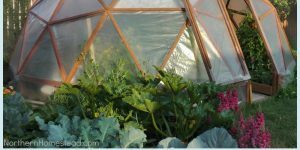 A hoop house or a single layer plastic covered Greenhouse would not do. 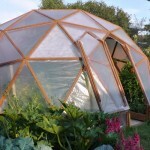 There are many winter greenhouse ideas on the internet, however, we noticed that most of them would not work in such extreme weather conditions. The garage grow room we have is technically not a greenhouse, since the roof is not translucent. We find that for cold climate it works better. In the winter our sun angle is so low that it makes no difference if the roof lets the light pass through or not. A glass roof with very low R-value would only cool the room. However, with a R20 insulated roof, there is a minimal heat loss. Since we converted an existing building, our windows are all just vertical. 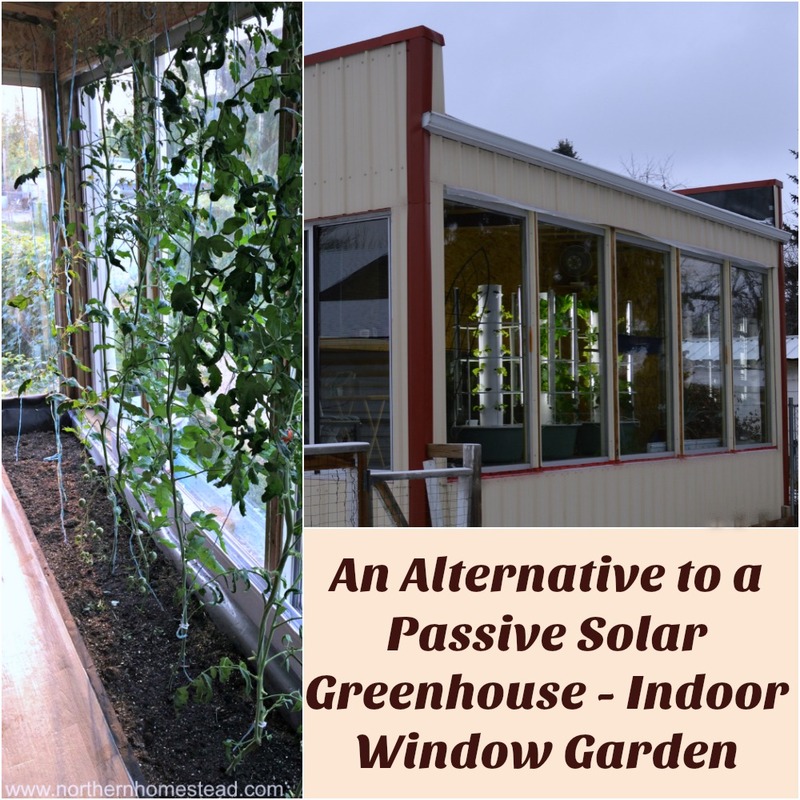 However, if you plan a greenhouse for growing in winter you could build the south facing glazed wall specially angled depending on latitude to maximize solar energy on the shortest day of the year. 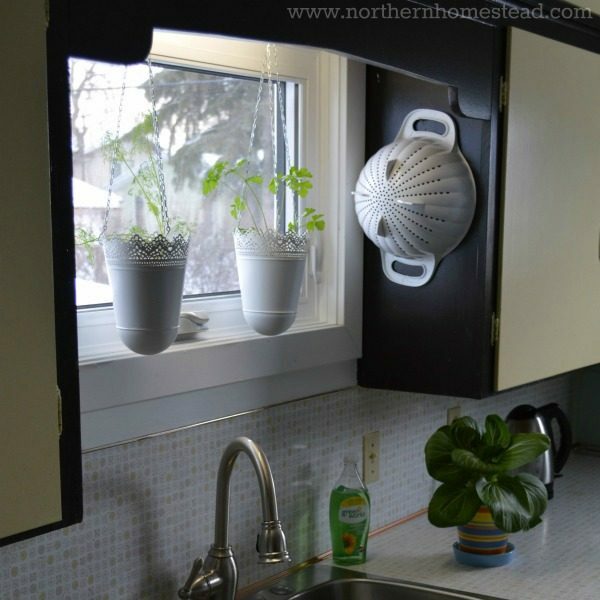 In practice though, we like the vertical windows for vertical growing and are really not sure if a sloped wall would make any difference except being very unpractical and more expensive to build. Solar greenhouses are often built so that energy is stored in an underground thermal mass made up of an insulated rock bed that acts as a heat battery. Our building had just a normal garage floor and had a height of 12 feet to the ceiling. 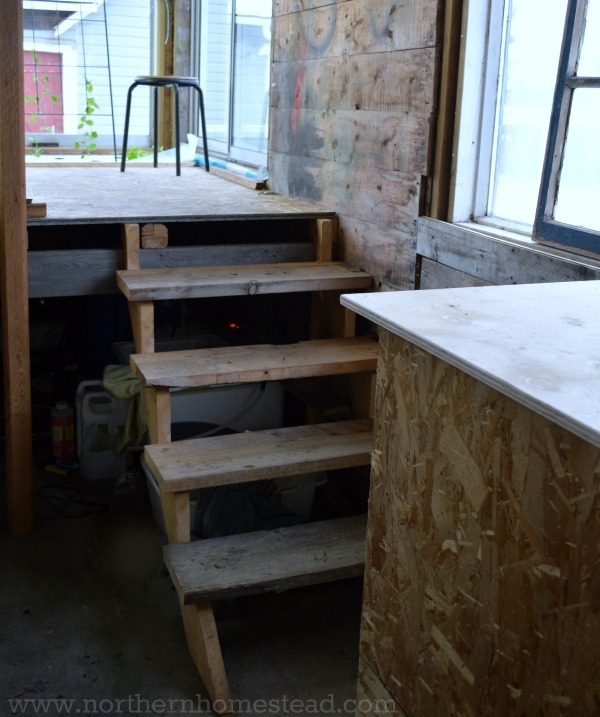 Since heat rises it made sense for us to raise the floor by roughly 1 meter (3.3 feet), It gives us much needed storage under the floor and keeps the growing area warmer than the rest of the building. The difference in temperature is significant. For thermal mass we keep in the grow room somewhere between 1000 and 2000 liter of water. 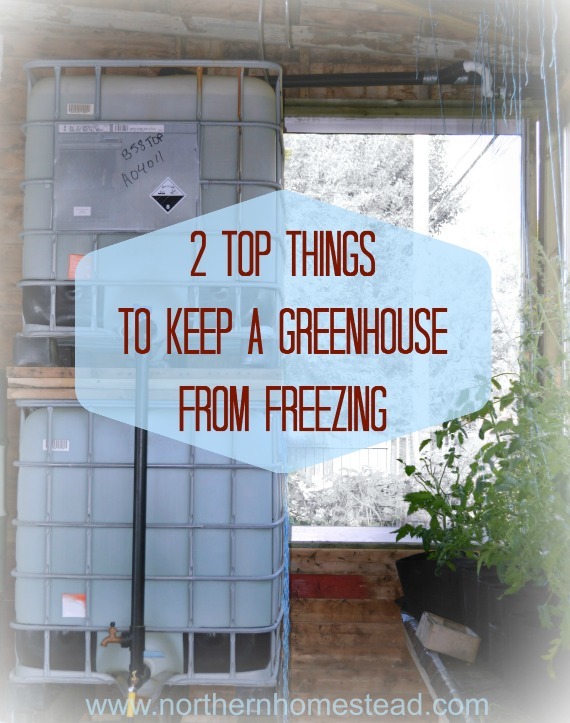 Read more about it in 2 Top Things to Keep a Greenhouse From Freezing. 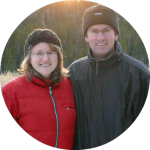 We used double-pane glass windows and the walls and roof are R20 insulated. The northern wall separates the grow room from the garage. This way no cold air can come directly into the grow room. 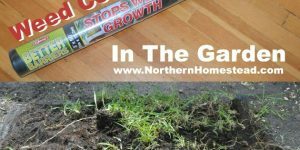 We find that good insulation is the most important factor to grow an indoor garden in real cold winters. In our well insulated grow room with lots of windows on a sunny day the temperature in the greenhouse can rise up to +29C (84F) while it’s -24C (11F) outdoors. Yes, that is how much the windows help to warm up the room without any additional heat. 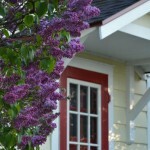 Practically a heating is only needed at night and on very cold stormy or days. Would a rocket stove be the optimal solution? We first started with a rocket stove, but after a few very cold nights we knew that a traditional rocket stove is not a good way to heat a greenhouse. 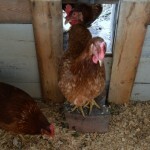 A rocket stove slowly builds up the heat and stores it for ours. In a greenhouse that heat is not needed during most days but only at night. 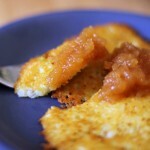 Who wants to go out during a snowstorm or at night and heat the stove? A greenhouse heating needs to be automated so that it heats the room whenever needed without any supervision. All of the heating elements we use in the greenhouse right now are temporarily. We are still working on a less expensive heating solution, but for now the Electric Baseboard Heater works very well. However, it would need a lot of energy to heat up the whole room. The Mr. Heater Propane Heater is a great back up emergency heater. Propane heaters indoors without proper ventilation can be a carbon dioxide hazard so we have to make sure no one is in the greenhouse to be affected by it. Plants don’t mind, they actually need CO2 for growth. The Oil Fired Heater is a real power machine in blizzard situations. This is the heater that we plan to keep and to improve for better usage for what we need. We will keep you posted. 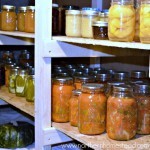 Here is a reality video of our food production garage/greenhouse in -30C (-22F). 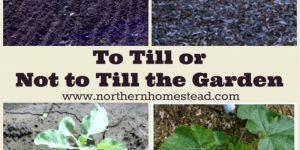 If growing year round in a cold climate is what you want to do, this might be of some help for you. To watch the video on YouTube go here. We grow mostly winter greens and lettuce during the cold winter months. All of those plants do not mind if temperature at night goes down to 7C (44F). Not so much the few tomato plants we have, they are summer crops and would love it quite a bit warmer. 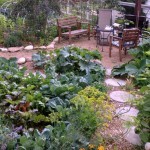 For successful winter growing in a cold climate stick to winter crops. 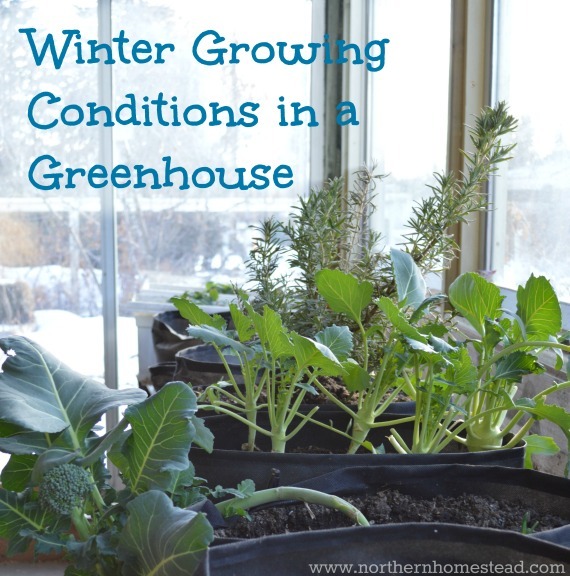 You might also want to read Winter Growing Conditions in a Greenhouse. Thank you Abi, glad to be an inspiration. You might want to look into “in-floor heating” mats. My husband & I purchased & installed a “SunTouch” Radiant Floor Warming Mat with a Programmable Thermostat in our lower level Master bathroom. The whole lower level was cement and cold. Tile, stone, or laminate flooring can be installed on top of the warming mat. Our lower level is 1100 sq. ft. that includes a huge bedroom with Berber carpet, Utility/laundry room with vinyl floor, master bath (heat mat & tile) and walk-in closet with carpet. The heat that the mat puts out keeps the lower level pretty neutral. The only room that gets cold is my utility/laundry room, it’s furthest away and closed off but we installed a wall heater, I’ve never had to use it in the last 7 years. Because the bath floor mat is on a thermostat we can program it to get warmer just prior to our shower time. Our kitties love to sleep in there during the winter months. 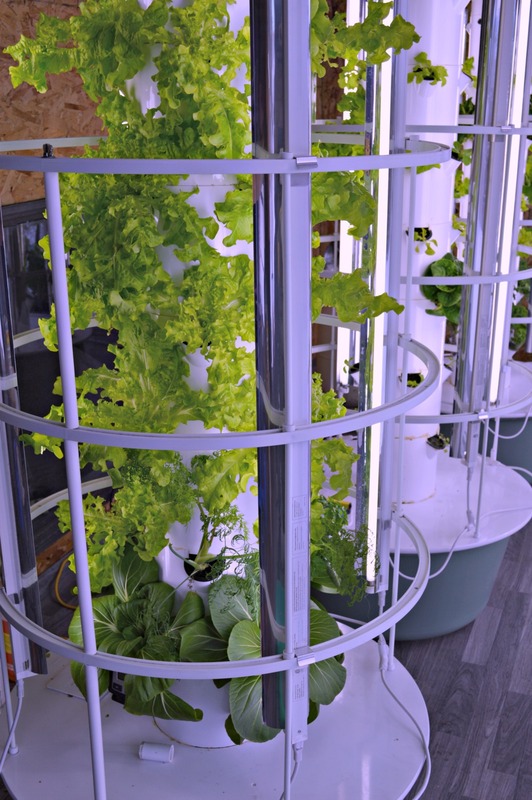 These would work wonderful in a greenhouse/grow room set-up. I do know that greenhouse growers have gone with “solar” heaters, grow lights and water pumps. Many dairy’s are now growing their cow fodder this way. It’s really awesome! 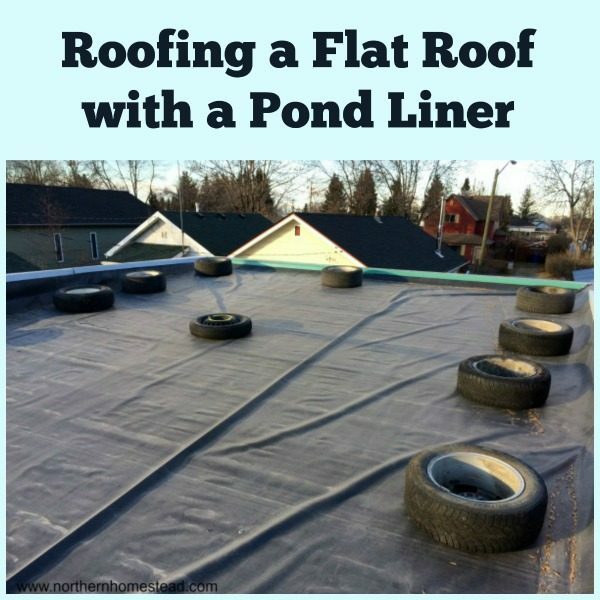 Thank you for sharing Sheri, great tip! I have been following you for three years now and am amazed with the changes 🙂 This is beautiful! You have inspired me to make changes in how I grow food. Thank you for this update! I bless you! The space has transformed so much in your journey 🙂 I love your updates and look forward to them! Thank you Sonia, if you keep working on something that you like, even if it is slow, you will reach the goal. Amazing! We had -41 C in January. We also have problem with too little light in the winter as we live at latitude 67°57′N so we have a very log sun angle in winter. But I try to grow with artificial light and wait for spring time. That is cold! We got very close to -40 this winter, too. We do add grow lights for growing, without them plants do survive, but not really thrive. Re: Mr. propane Heater above… carbon monoxide given off is poisonous, and I believe the fire dept now requires you to have a CO monitor. Not the same as carbon dioxide which is used by the plants. Please clarify above. Every open fire does release some carbon monoxide, we are talking about a greenhouse here, nor a living space. If you are concerned, please by all means use a CO monitor. Have you thought of a diesel heater? 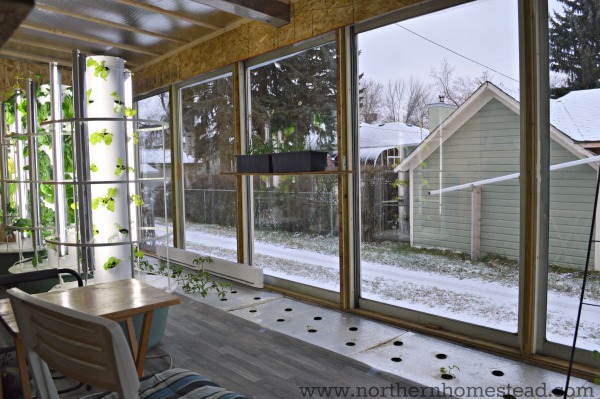 I live in northern BC and want to heat my greenhouse for winter but also do not want to run out at -30 to add wood to a woodstove. I believe there are models that run biodiesel as well. Thank you for all the great info that you post!